How is everyone doing on this fine Friday? Is it officially spring where you are? Spring keeps teasing us here on the East Coast. "Oh you like this sunshine...well how about a late March snow..muahahaha" Since it's still cold and rainy here with snow in the forecast, I'm wearing spring on my fingers. 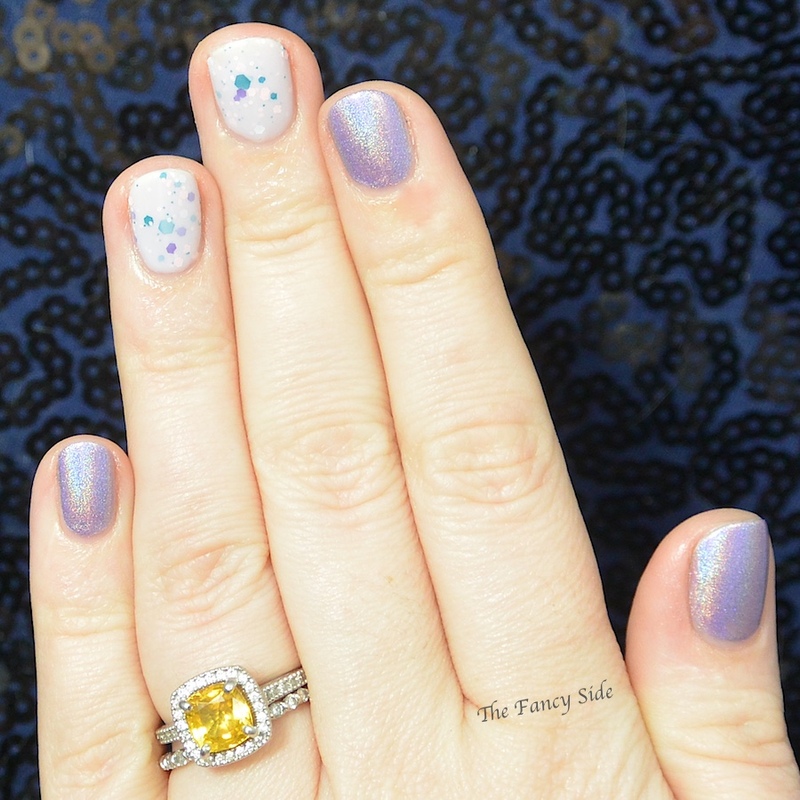 For this skittle look, I've combined two KBShimmer Polishes Thistle Be the Day (lavender holo) and I'm So Sweet Pea (crelly) for this look. I like how the pale purples really compliment each other but the uniqueness of each polish shines through. Which polish is your favorite? I don't think I can pick. Thistle Be the Day is so pretty! I wish I could afford this whole collection. I agree. I wish I could have got all of them too! This one is perfection in a bottle too! Love it. Agreed, we need sunshine yesterday! Great combination! I'm in love with KB Shimmer's spring crellies! They are all so beautiful. I had a hard time controlling myself. Great mani! 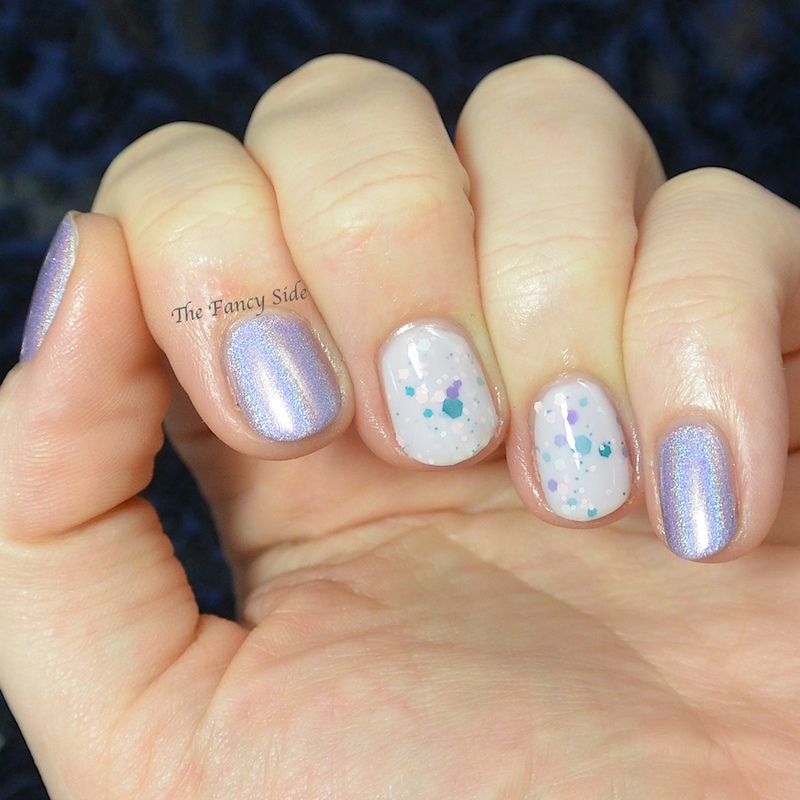 I love those crelly glitters! Thanks Katey! It's a beautiful combo! I'm glad you like them. I'll have to remember that purple isn't for you. I agree. They were my gateway drug into the world of nailpolish. Sure rub it in? I appreciate it! I'm loving the spring collections that indies are releasing this year. The KBShimmer one is definitely a fav. I love thistle be the day! aren't they great? I'm in love with these. I need I'm so Sweet Pea! Gorgeous combo! 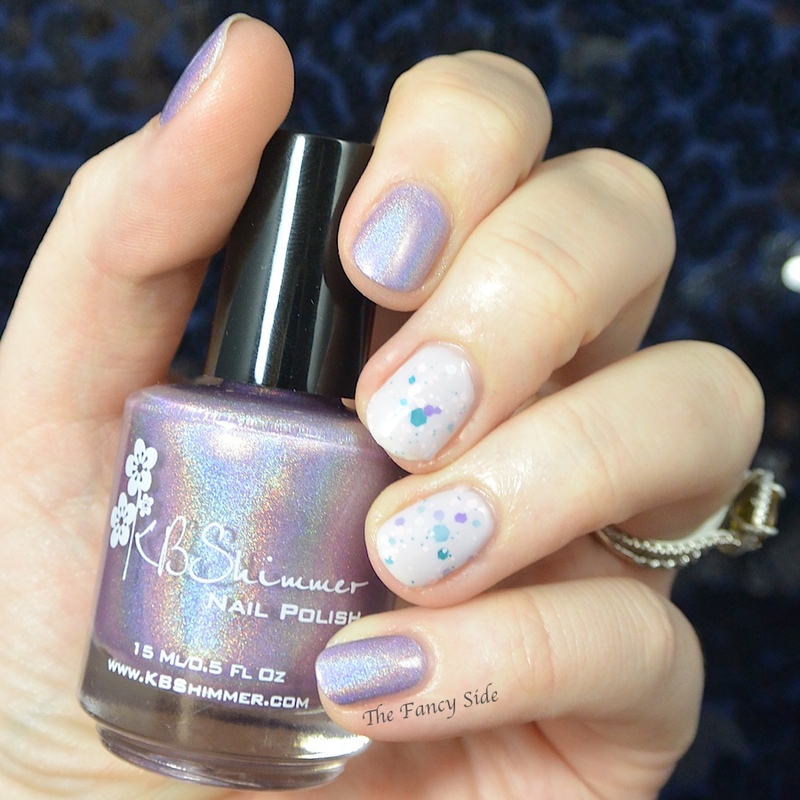 Sweat Pea is one of my favorite from the Spring line at KB Shimmer. It's a good one! Did you get it too? Sweet spring combo! I love KBShimmer!